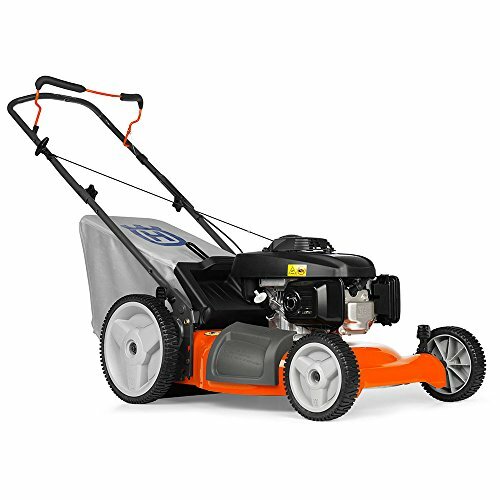 Generous 15″ cut path cuts wide swaths of grass and weeds. Handle-mounted, easy-to-view battery power level indicator to alert when it’s time to recharge – no more running out of power mid-task. 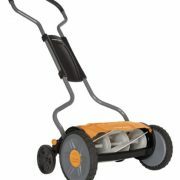 Durable construction with metal housings and components for long life. 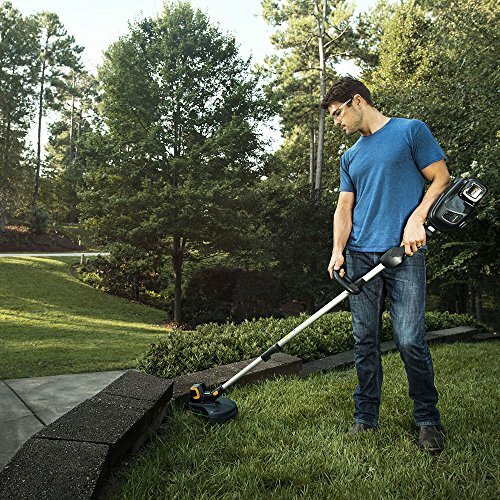 Powered by a 58V, 2.6Ah, lithium-ion rechargeable battery, the all-new Poulan Pro battery-powered string trimmer delivers the power, performance, & runtime typical of traditional gas-powered tools – without the hassle of mixing & storing fuel, or the harmful emissions. 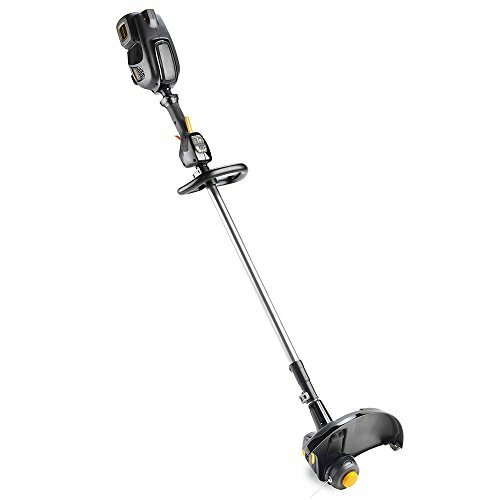 With a built-in battery power meter, it’s easy to monitor power usage, & the handle-mounted, easy-to-view battery power indicator guarantees you’ll never run out of power mid-task. 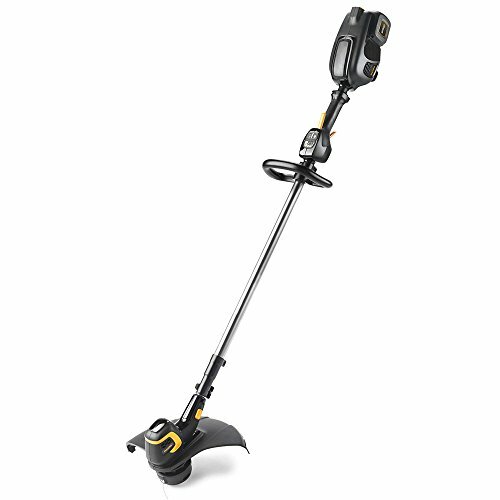 With other impressive features like Instant push-button starting with no pull cord, variable speed control, digital cruise control, & integrated power boost technology, this quiet, lightweight, ergonomically designed, & environmentally friendly trimmer is easy to start & easy to operate. 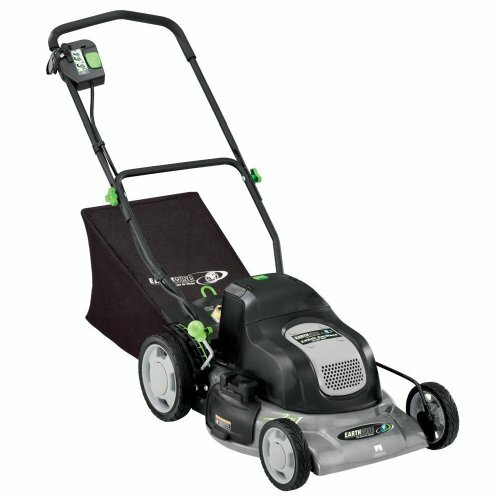 It also features a telescoping shaft that quickly adjusts to a comfortable height for any user; a generous 15″ cut path; bump-feed line advancement with dual line exit; & easy-loading trimmer head for fast, simple cutting line refills. 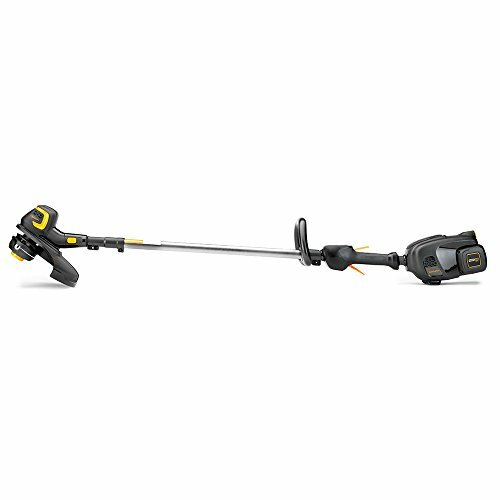 Handle rotates to quickly convert to an edger for clean trimming around sidewalks & driveways. 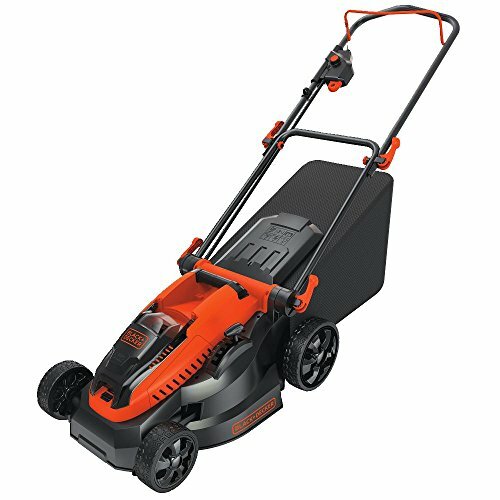 Easy-loading trimmer head with dual cutting lines and bump-feed line advancement. 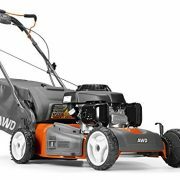 Brushless motor provides increased power, performance, and efficiency; longer battery runtime; exceptional engine durability and life; and higher power-to-weight ratio.